Glue the front and back to the floor, and the sides to the front and back and floor. The sides “clip” the front and back. 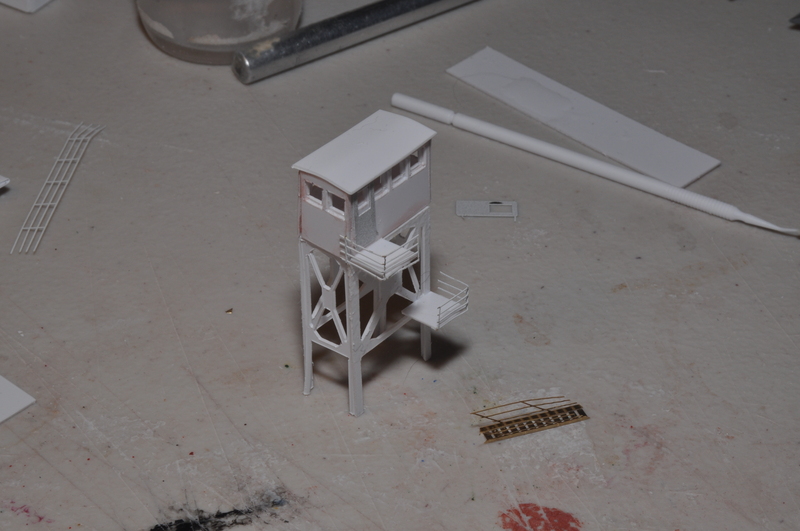 This is how the assembly looks so far. Now is a good time to install acetate windows, paint the interior, or install details. There was not much more than a large steering wheel in the pilot house. Flex the roof slightly to conform it to the curve on the sides and install. Install the door, using superglue if it is brass (the styrene door is identical to the brass). 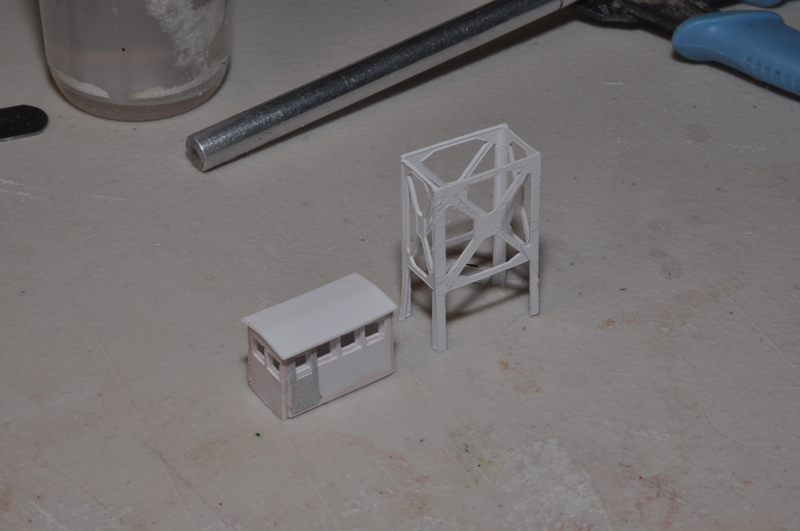 The pilot house stand has some fairly delicate parts but can be assembled with patience. Glue the sides ON TOP of the front.rear. It helps to tack the top half, let it dry, then work down the legs. 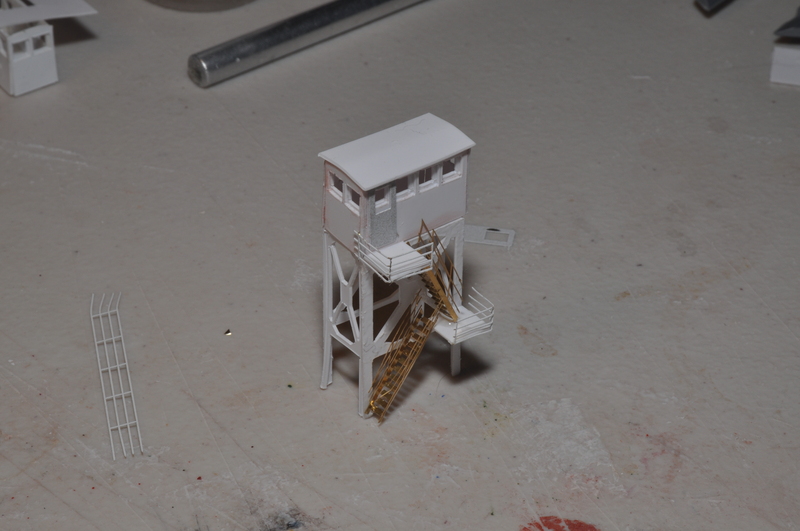 Here is the stand and pilot house. Center the pilot house and glue it to the stand. Now the fun begins. The following show how to install a vertical ladder on the stern side of the pilot house. Photos show this ladder in different locations, including inside the stand, and also as a single run without a landing at mid way. 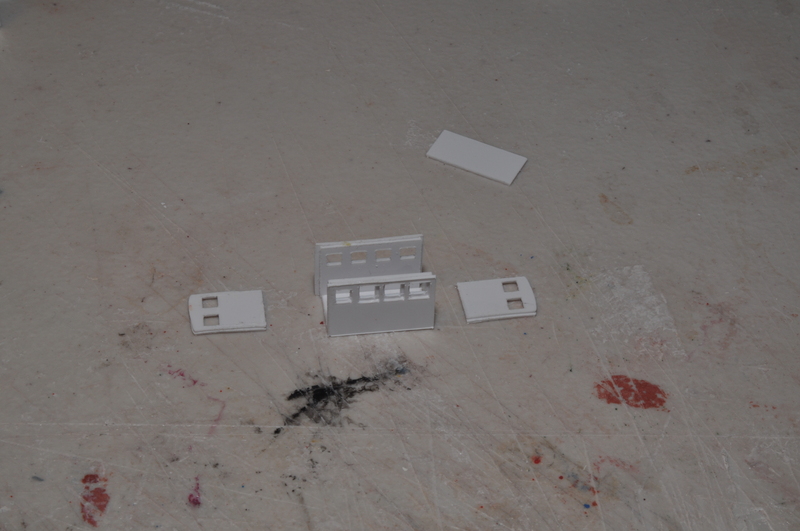 Glue to two small landings as shown. Glue the brass railings as shown, using superglue. Cut the vertical ladder to 13 stairs, bend up the railings, then, using sharp tweezers, bend each tread to the correct angle. 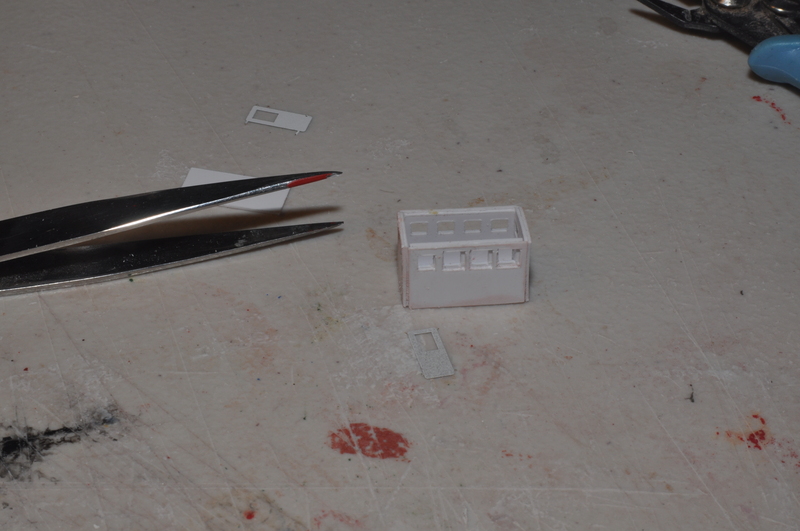 With sharp tweezers, you should be able to “snap” each tread into position without bending. The second, lower run should probably be installed after the assembly is mounted on the barge. Here I show it directly under the upper run–it should be offset to the outside. The cast-on circles are inspection hatches. The small cast-on squares are vents: while not readily apparent, the port (left) side vents face forward, while the starboard vent face rearward. This can be accentuated by increasing the slant of the rears of the vents with a few swipes of a file or sanding stick (there are 25 of teem). 1. Glue the strips included in the kits along the inside. It may take some flip-flopping to orient the starboard strip correctly. Due to the long bulwark on the port side, orientation should not be a problem. 2. 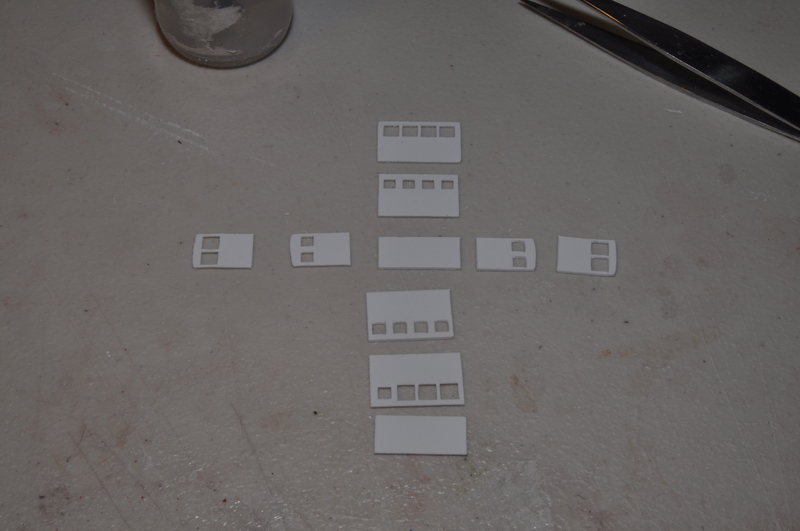 Cut small strips of .060 x .060 styrene (not supplied) to bride the openings. 3. Cut the existing bulwarks off and replace them with the strips supplied. The capstans are mounted on the square pads near the bow and stern on the starboard side. 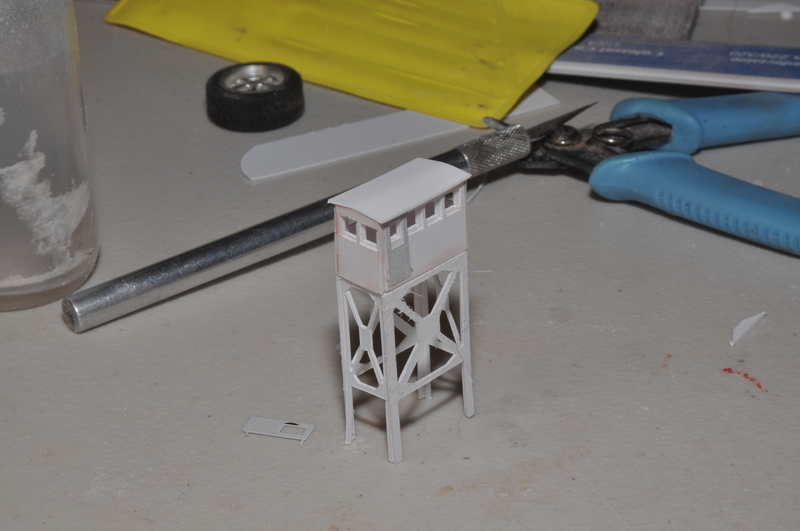 The bitts are mounted in place of the (failed) cast-on bitts. 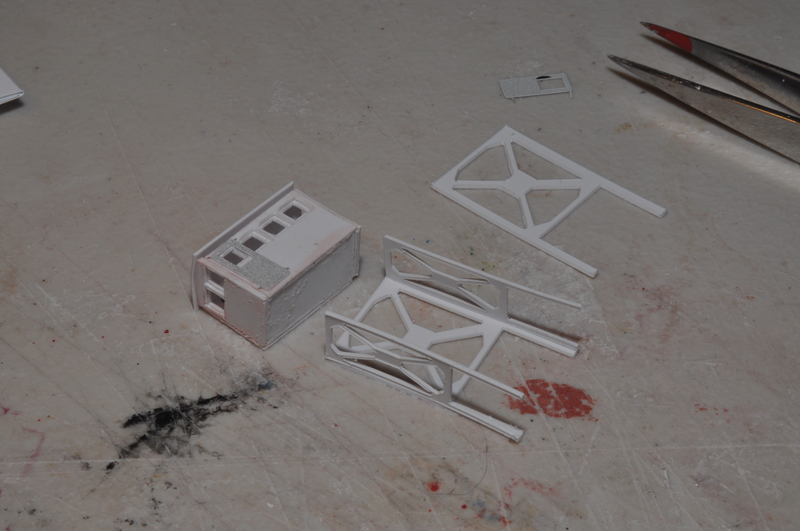 It is best to just sand the cast-on bitts down to pads and mount the bitts on top with superglue. The two larger single bitts are mounted near the bow. The center bitts (five starboard, six port) can be replaced by cleats (not supplied). Cleats can be fashioned by gluing small strips of slightly bent styrene or copper tube to the tops of the cast-in mounts. Code 40, 55 and 80 rail can be slipped (without ties) into the grooves for operations. The use of a track gauge is recommended. At the bow, the rails of the center track should lie adjacent to the rails from the outer tracks, but a small amount of filing may be needed. There is some “play” in the width of the grooves; however, users so far have been able to just slip the rails in and attach them. Matching the height between the dock and the barge will require some adjustments, usually thinning the dock’s lip to match the barge. Please enjoy this kit and don’t hestitate to ask me any questions! Am I correct that the rails at the bow are gauntlet? I’m designing a dock and would like to use your ATSF car ferry and dock in it. Would you give me the rail spacing of the dock, the width of the dock? I’m not sure that we will have the room for the whole ferry. Would you consider building the front third of the ferry. The rails at the front abut each other, but are not gauntlet. Depending on the rail used, you may have to trim a bit of the rail footings on the outside edges to meet–I didn’t need to do this with code 40 rail. A moderate grit sandpaper will do the trick. I’ll send you a pdf of the bow–the dock is just a mirror image. 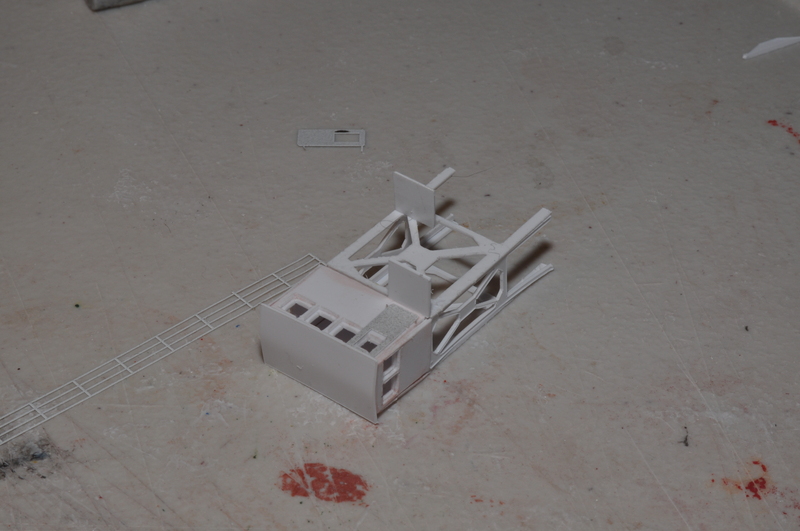 The track to track spacing is 11 feet in scale, which is the prototype. I’ve also built a new dock, which I will announce some day soon. Sure, I’ll build the front third–by sawing off the back two-thirds!